The most active Historical site in Pass Christian began in 1831, with the opening of the Pass Christian Hotel. The original 400-foot beachfront by 1-mile-depth was purchased from Edward Livingston by Charles Shipman who built the nucleus of the first hotel which set the stride that began in Pass Christian and eventually spread along the entire Gulf Coast, a hostelry that all later hotels attempted to compete against. No other facility surpassed its magnificence and elegant until after it burned down in 1877. During its time, ownership and management changed hands a number of times, often due to financial crises brought about by Yellow Fever quarantines and later, the Civil War. In 1838, the New Orleans Daily Picayune announced that a wharf had been constructed, large enough to transport horse carriages from landing ships. The west wing of the Hotel was also completed. 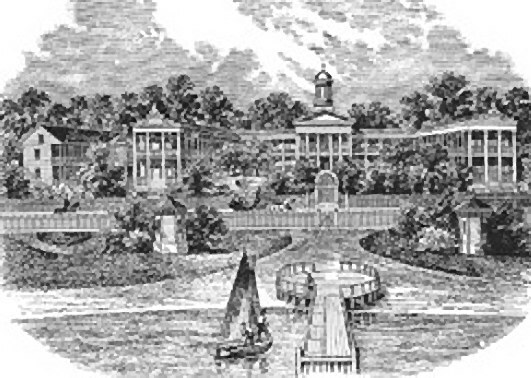 By 1839, the Hotel added new growth to its complex. The Main living quarters originally housed 50 families. Large editions included a main dining room, a ballroom, a billiard room, a bowling alley, and, stables and bathing houses. To the rear of the hotel was a "Texas" which accommodated bunking quarters for single men. It was a 300-foot-long, two-story, barracks-like, rectangular building. Other hotels included such quarters to the rear grounds of their facilities. The name "Texas" was applied following a visitor's remark of similar designated quarters set aside for hard-drinking, Texan desperados who stayed up the night gambling and being rowdy. Originally known as the Pass Christian Hotel, in 1847, the Prince of Inn Keepers, R.H. Montgomery, became its general manager. In 1848, a reception and grand-ball was given in honor of General Zachary Taylor, the Mexican War hero who was elected President two months later. On the following day, thousands attended a barbecue in his honor, as the General sat at a table placed atop an Indian mound in the live oak grove near the hotel. In 1849, Montgomery announced the first Racing Regatta on the Coast. It brought to life the Southern Regatta Club, the second oldest Yacht Club in the Country with New York being its first. Following the founding of this Club it was later moved to New Orleans and renamed the Southern Yacht Club. Racing fever took hold throughout all of the Coastal cities which have continued ever since. The Hotel was often referred to simply as, Montgomery's, it was also referred to as the "Saratoga of the South." Commencing with 1853, the hotel remained open year long with Summer guests arriving from New Orleans and Winter guests from northern states. With the Pass Christian Hotel as its focal point, cottages were being built that extended out on both sides along the shoreline. For this reason, historians have reported that Pass Christian wasn't a town with a Hotel, but a Hotel which possessed a Town. Montgomery ended his last year with a Yellow Fever epidemic and a Hurricane. The Hotel closed in 1861 with the onset of the Civil War, until 1865, when the hotel complex was purchased by the Christian Brothers under the auspices of St Mary's College of New Orleans. It was opened as a foremost Catholic Boy's College known as (St. Mary’s) Pass Christian College enrolling its students in competition with Princeton College. Brother Isaiah was expedited to supervise a crew of workmen to remodel and renovate the huge structure. Brother Isaiah also originated the first College Band composed of a 24 member Cornet Brass Group which became a universal trend. With the scourge of Yellow Fever in 1867, ten of the Brothers died resulting in hampering the schools success. The Parish pastor, Father Georget, spent his life's savings attempting to keep the Christian Brother’s school open, however it finally closed in 1875. The College was purchased and reopened as a Hotel only to burn down in 1877. Today, this is the site of the Miramar Nursing Lodge. 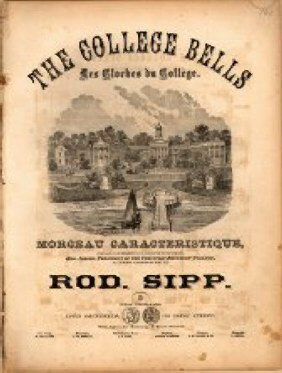 Special Note: The only representation of the hotel complex is a pen and ink sketch of the College which includes the bell-tower installed by Father Isaiah. This rendition can be found on samples of the College stationary and on song sheets. Without the bell-tower the building would have been the likeness of the Pass Christian Hotel. “Pass Christian College, 1866-1875: The Christian Brothers on the Gulf Coast,” by Brother Justin Lucian, is available for purchase by writing: 2455 Avery St., Memphis, TN 38112.